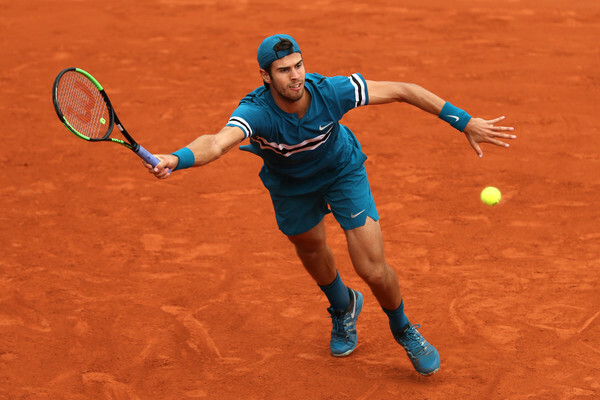 Karen Khachanov clinched an impressive straight-sets win over 15th seed and local favourite Lucas Pouille in the third round of the 2018 French Open, firing 32 winners and claiming 78 percent of her first-serve points. 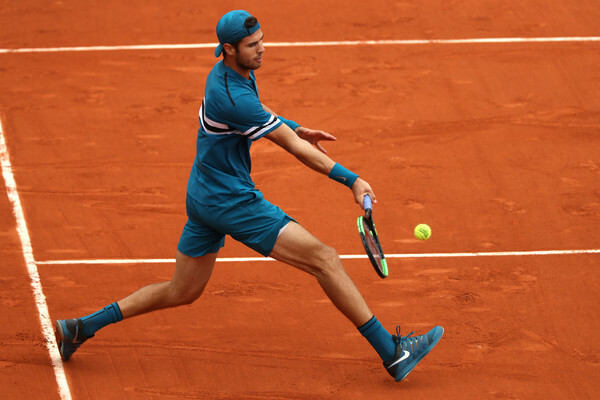 Being familiar foes, good friends, and former doubles partners, Karen Khachanov and Lucas Pouille took onto Court Philippe Chatrier in the third round of the 2018 French Open fighting for a place in the second week. 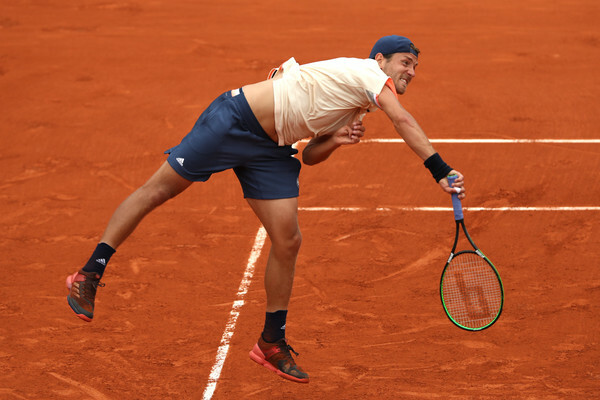 Pouille was looking to make his maiden appearance in the fourth round in front of his home crowd, while Khachanov had to defend his points from last year after a stellar run. This time, the Russian took the lead in their head-to-head record as he produced some scintillating tennis for a terrific 6-3, 7-5, 6-3 victory after two hours and 24-minutes in a match which spanned over two days. The first set was decided by an early break of serve which featured in the second game. Pouille was still warming up to the occasion especially with the partisan home crowd mainly cheering for him and the pressure was certainly weighing on his shoulders. A slew of unforced errors then saw Khachanov take full advantage, bursting out to a commanding 3-0 lead within a blink of an eye. A series of powerful serves by Pouille then finally helped put him onto the scoreboard in the match. The slow start ultimately proved costly as Khachanov showed no signs of slowing down, losing just nine points on serve in the opening set as he soon took it 6-3 after just a mere 33 minutes. Khachanov continued to ride on his momentum and as Pouille failed to find his first serves, the Russian benefitted the most and earned multiple break points in the opening game of the second set. However, the Frenchman was able to regain his composure, producing some of his best tennis to save himself from the brink and grab the confidence-boosting hold. From there, the momentum has shifted its side towards the 15th seed although it was not reflected on the scoreboard. Khachanov was unable to maintain his high level from the opening set — having to fend off a break point in the fourth game with a powerful serve before finally crumbling to the pressure in the sixth game as Pouille waited for 53 minutes before earning his first break of the evening. He comfortably consolidated the break for a commanding 5-2 lead and he managed to turn the tides in his favour within a blink of an eye. Khachanov found himself in danger after trailing 15-30 on his serve but managed to rebound and regain the momentum in time to keep himself in contention. Within inches of the finishing line, Pouille suffered from a slight hiccup and his first serves went AWOL, allowing Khachanov to exploit those vulnerable second serves and he was firing consecutive winners to clinch the unexpected break back. 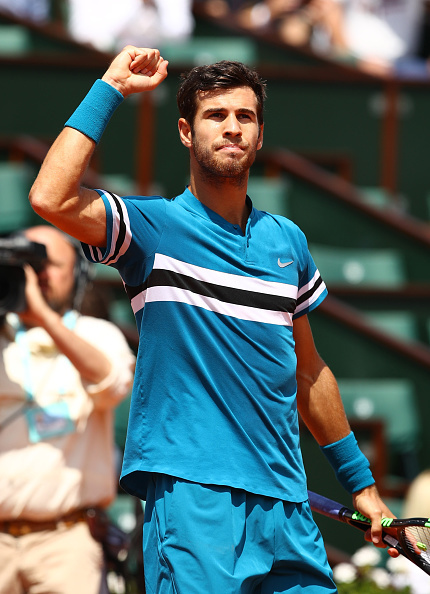 Rattling off 11 consecutive points, Khachanov found himself level in the second set all of a sudden. 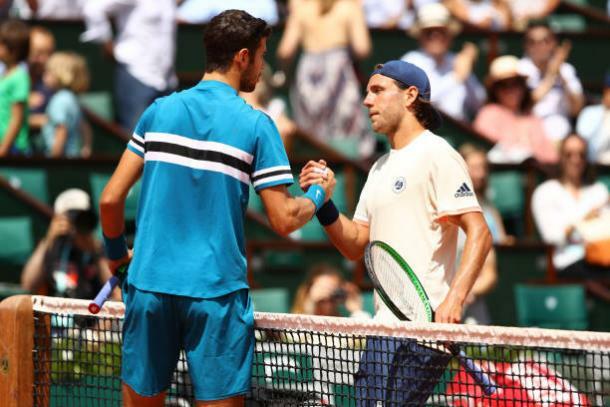 In what was the longest game of the match which spanned over 26 points and lasting 16 minutes, Pouille showed some tough resistance and fought off eight break points but Khachanov was eighth-time lucky as he moved Pouille outside the court with his magnificent forehands, and the Frenchman was forced to commit an error there. Winning his 11th straight point on serve, the Russian sealed the second set 7-5 with the rain slowly falling down. After a quick exchange of service holds, rain started to have its parade on the court as the players went off the court for the evening and never came back on the same day. The play was postponed until today, and once they returned, a series of sailing comfortable holds kickstarted the day with both players unable to make a breakthrough on the return. However, the first breakthrough finally arrived upon us in the sixth game. Khachanov drew first blood with his stunning forehands, grabbing the formidable two-set and a break lead as he edged closer than ever to the win. Pouille completely lost the plot and was broken for a second time in succession as Khachanov sealed his seventh top-20 win of his young career after 144 minutes of play in total.